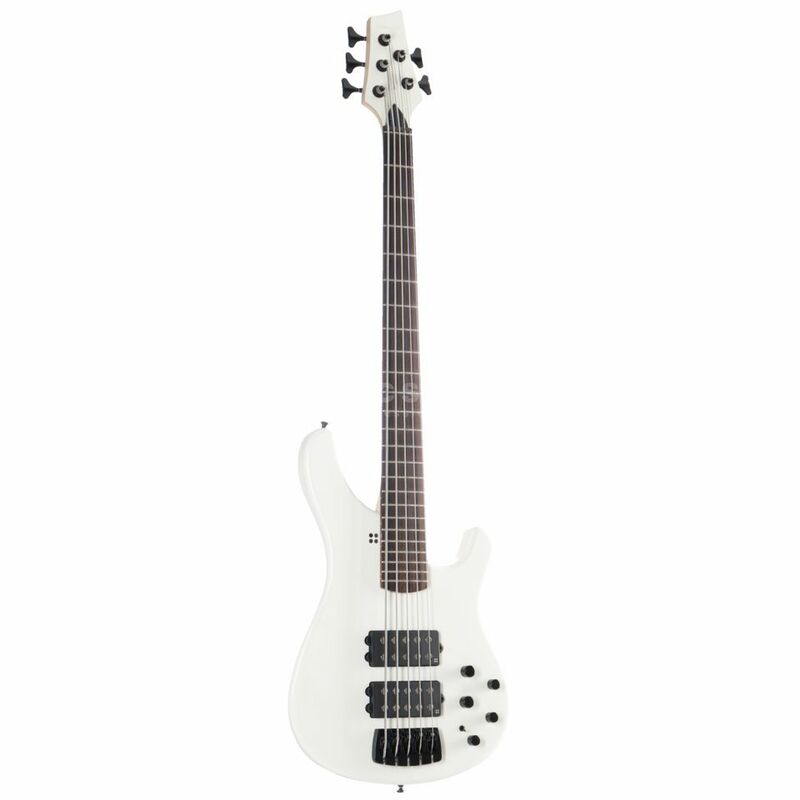 The Sandberg Basic Ken Taylor 5 RW VWHG Virgin White Highgloss is a 5-string active electric bass guitar. Since joining the Peter Maffay Band in 1993, Ken Taylor has been playing basses from the cult company Sandberg in Braunschweig, Germany. His signature bass, the Sandberg Basic Ken Taylor, is a workhorse reduced to the essentials, a four-string instrument featuring classic tone woods, two power humbuckers and active electronics, offering versatile sounds and excellent playability offers. Ken Taylor wanted classic woods for the construction of his Signature Bass. Accordingly Ash is used for the body of the Sandberg Basic, while the neck is made of hard maple with six screws and a rosewood fingerboard. This combination promises a balanced basic sound with powerful attack and healthy sustain that accurately represents every note played. On the slender neck with a comfortable "C" profile, every groove comes easily to your fingers. The electrical sound conversion of the Sandberg Basic Ken Taylor 5 is achieved by two Sandberg Powerhumbuckers. These powerful pickups have an impressively powerful sound and smooth articulation, giving accurate low end response that precisely represents every sound played. A coil of the humbuckers can be deactivated via the split switch, providing brilliant single coil sounds. In addition, an active 3-band tone control is available, which can be used to precisely adjust the sound image in bass, midrange and treble. Ken Taylor was born in London in 1952 as the son of Jamaican emigrants and came into contact with music at a young age. In his youth, Taylor first played guitar in a Caribbean Calypso band Rhythm before discovering the electric bass and becoming a big fan of up-and-coming rock music thanks to Jimi Hendrix. Through tireless practice, Ken Taylor developed his virtuoso style, which has always served the band and established him as a reliable sideman in the international studio scene. His bass has been recorded by John Mayall, Bruce Springsteen, Brian May, the Scorpions and the Rödelheim Hartreim project, among others. In 1993 Taylor joined the Peter Maffay Band, with whom he played all tours and recordings as a permanent member.